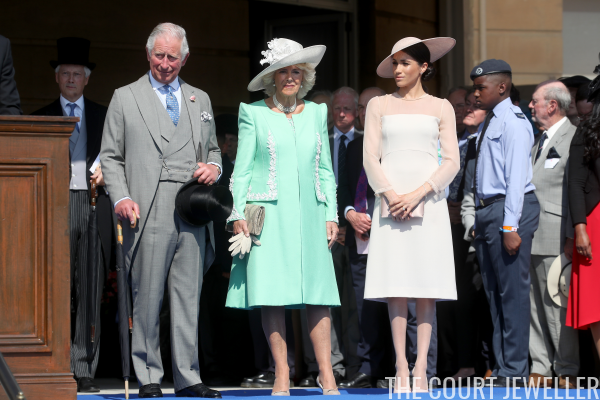 The new Duke and Duchess of Sussex joined the Prince of Wales and the Duchess of Cornwall at Buckingham Palace this morning for the Prince of Wales's 70th Birthday Patronage Celebration. 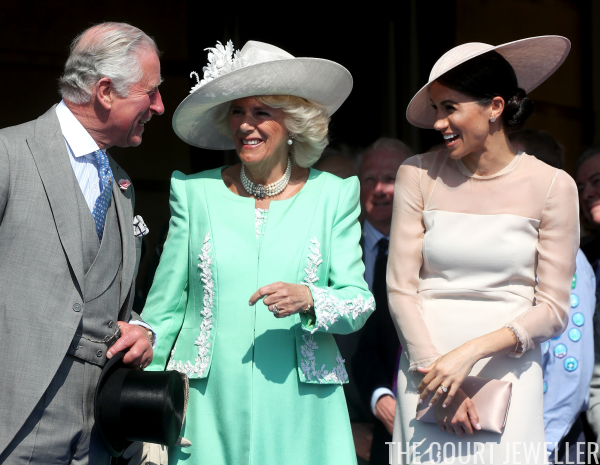 Here's a look at the jewels that Camilla and Meghan wore for the big bash. 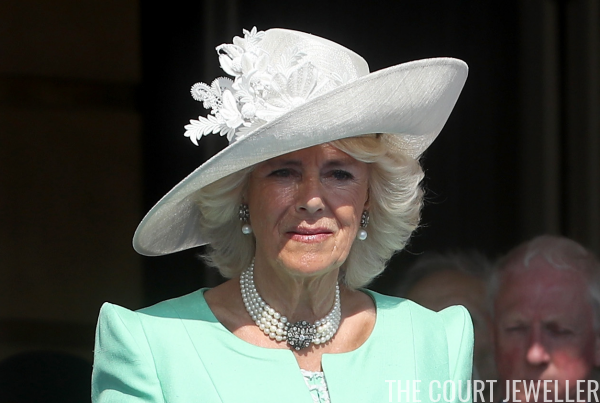 Camilla chose some of her favorite jewels: her pearl drop earring with the diamond cluster stud, and the pearl choker necklace with the large diamond clasp. 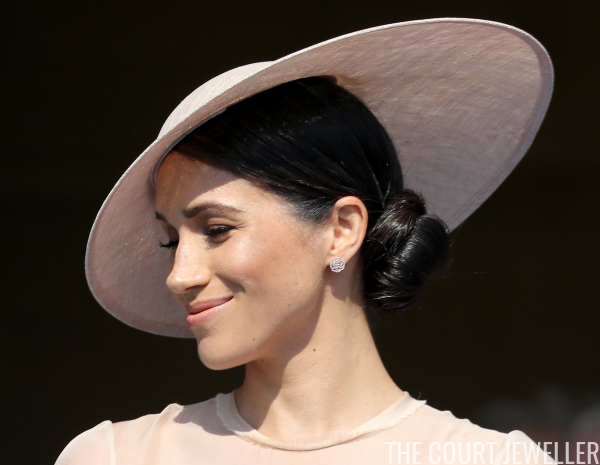 According to Meghan's Mirror, Meghan is wearing the Idylle La Rose earrings by designer Vanessa Tugendhaft. 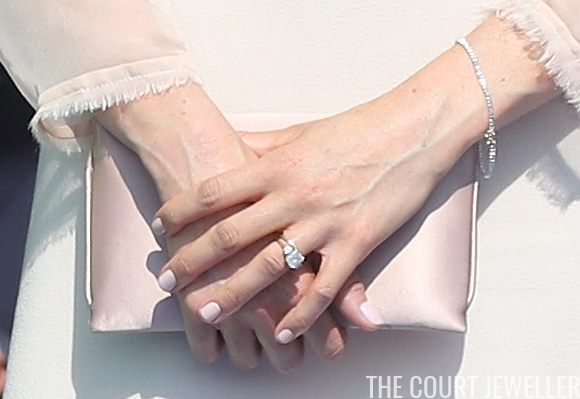 We also got a glimpse of Meghan's brand-new gold wedding ring, as well as a glittering bracelet on her left wrist. 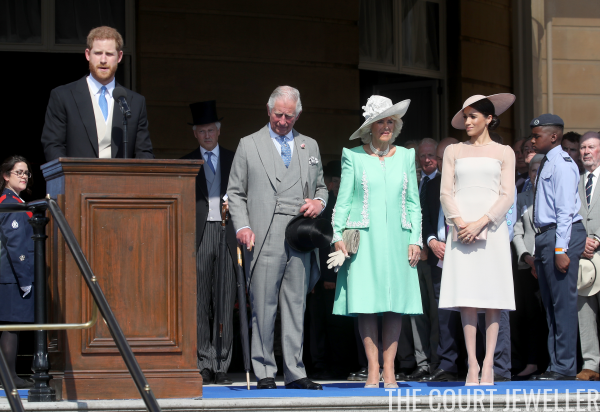 Here's a better view of the outfits worn by both duchesses. Clearly everyone's getting along swimmingly!